The board that decides how much D.C. residents pay for water bills got an earful from the public Wednesday night while considering proposed rate changes. 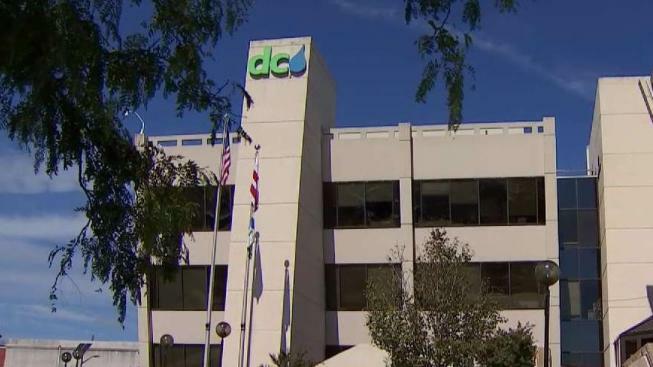 DC Water has said it will lower the skyrocketing Clean Rivers fee for next year after a News4 I-Team investigation revealed the devastating impact the fee is having on some properties. The one thing almost every speaker agreed on: The government should pay its fair share. That would lower bills for every water customer. Last fall, the I-Team exposed that public roads are exempt from the fee, which now makes up 90 percent of some bills. Khadija Duma got emotional as she explained how she just can't afford to pay. "If I have to decide whether or not I keep my water on or I get my medication, that's serious," said Duma. "And you're doubling the fees and the rates to a point where it's unreasonable for me." Duma told the DC Water Board rates committee the fees on her water bill now cost her more than her water usage. She was one of dozens who turned out to the public hearing to voice concern. "We have some churches that the water bill is higher than the church mortgage," said the Rev. Calvin Baltimore. "It's a tremendous hardship that you all have placed upon the citizens of this city." In a series of reports, the I-Team showed how the Clean Rivers fee, which is paying to build tunnels to prevent sewage from polluting our rivers, is also forcing some churches to cut programs. The District's oldest cemetery said it could have to close. In the wake of those reports, the D.C. Council held hearings on the topic, and DC Water announced it would lower the fee. But at the same time, it decided to raise the sewer rate by 13 percent, which could drive bills up for other customers, prompting one council member to call it a shell game. Former DC Water Board member Alan Roth spoke at the hearing, advising the current board that D.C. needs to own these tough decisions unless it's prepared to ask the federal government to unwind a consent decree mandating a fix to the pollution. "It's important the board adhere to the facts and sound rate policies, rather than appeal to emotion and political pressure," said Roth. "You don't have a crisis, the politicians have a political problem. Let them pay for solving it." Roth was on the rates committee when it decided to enact the Clean Rivers fee a decade ago and exempt D.C.'s public streets from the calculation. He said it was done because a consultant said to, not because anyone requested it or required it. If that exemption were revoked, everyone's bills would drop significantly. "The council and mayor can certainly revisit that issue today, they're in a better financial position to do it than they were 10 years ago," said Roth. DC Water will consider all of the public comments and then decide whether to make any changes before the proposed rates take effect this fall.